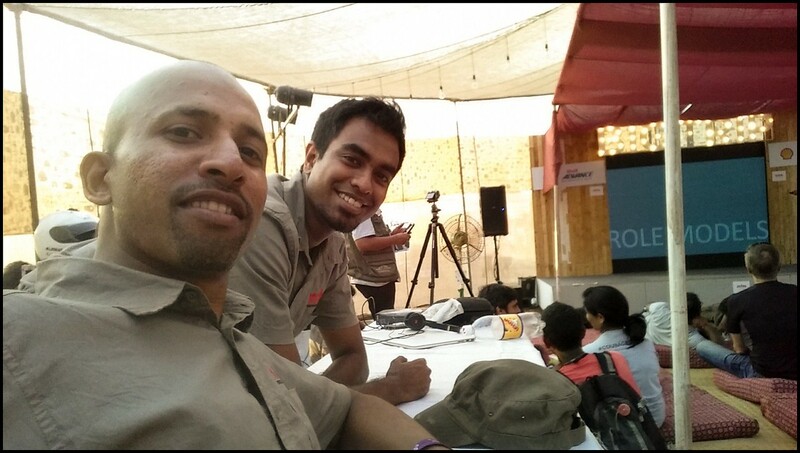 Great job Motorcycle Travellers Meet – India​ Team! 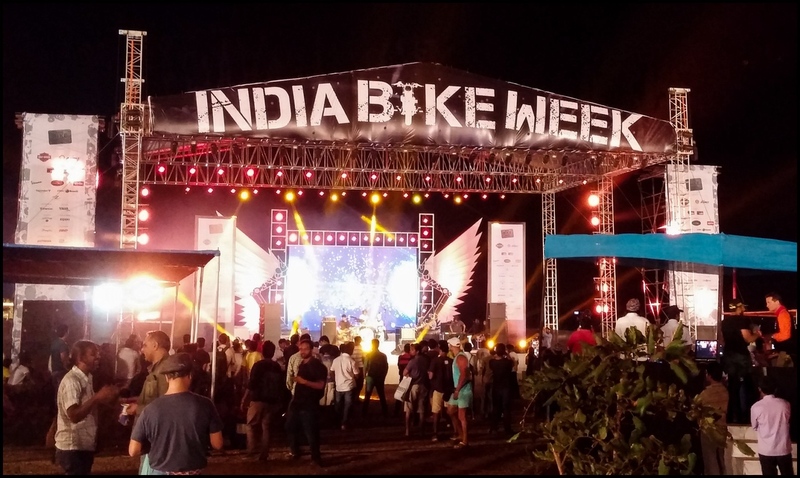 India Bike Week 2015 at Vagator, Goa. 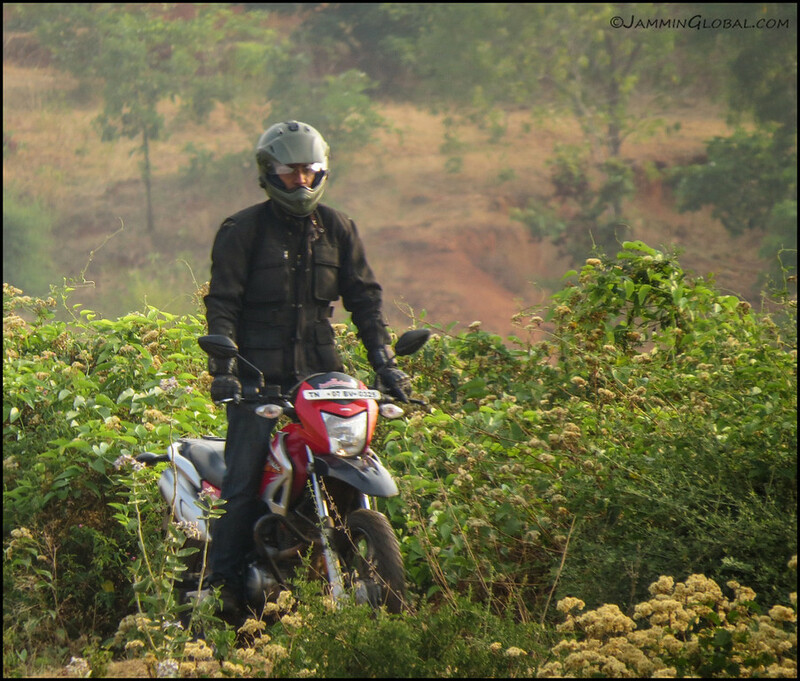 Avinash Thadani shares his story of riding a KTM 640 Adv from New York down to Tierra del Fuego and at the end of his presentation, he gave a little homage to Santosh Kumar, the man behind Motorcycle Travellers Meet – India. Thanks Avi! The MTM crew all smiles at The Big Trip. Women Riders Discussion Group. These ladies have ridden far and wide and hope they inspired a few more to get on the bike and start riding. I’ll be in Mumbai in a few weeks for the first Mini Motorcycle Travellers Meet 🙂 We had our big annual event in Bangalore in April and now we’ll be putting on a series of Mini MTMs at various locations around India. Mumbai is first up. It’s just a day event and it’ll be packed with inspirational motorcycle travel stories, practical workshops and info sessions to get you on the road. 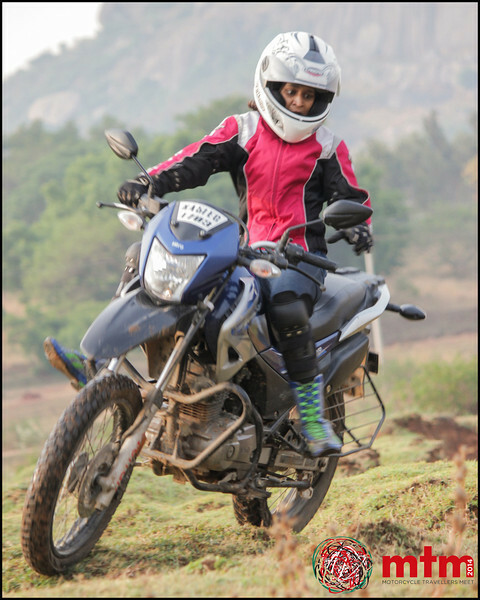 Steph Jeavons, who recently started her RTW on a Honda CRF 250 from London will be our feature speaker, then we have Avinash Thadani who rode a KTM 640 around South America and Kedarnath who got inspired from the first MTM in 2013 to ride to Europe on his Royal Enfield Thunderbird. I’ll be doing my off-road ride skills workshop early in the morning and we’ll end with a Ladakh info session. 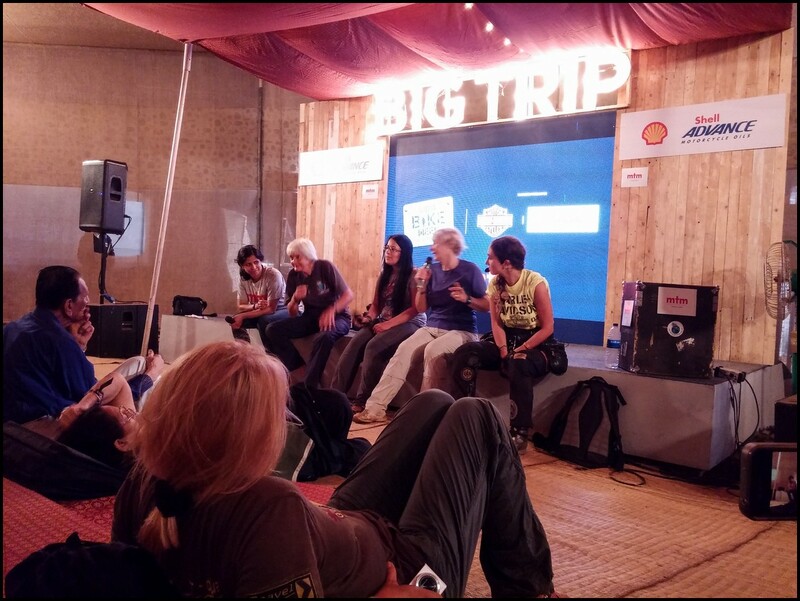 Had a wonderful three days at the 2014 Motorcycle Travellers Meet India. 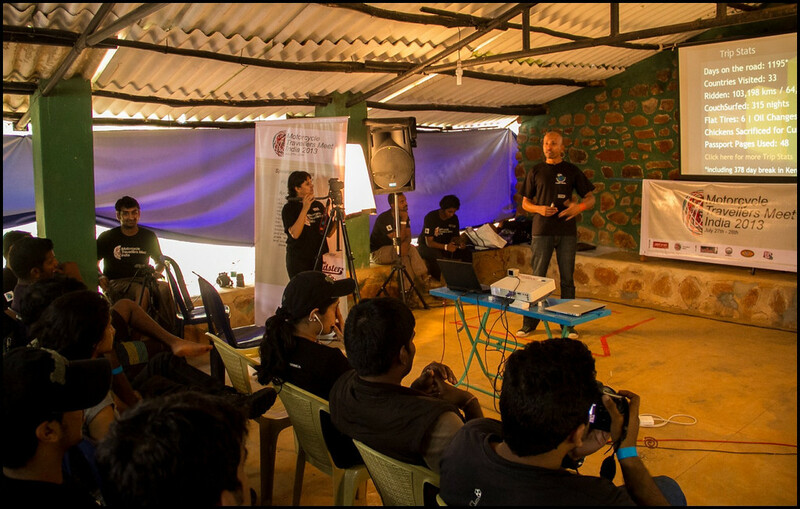 About 120 moto travel enthusiasts converged at Camp Shristi outside Bangalore for talks from riders currently on their RTW, those who’ve gone and those who are going. I conducted a few workshops and here Johan and I mounted a new rear tire on his Suzuki DR650 and explained the process to the captive audience. That little dirt bike in the background, a Hero Impulse, was used to practice the proper technique for lifting up your bike when it drops. I also lead some off-road ride skills workshops in the mornings at a dried lake bed and shared the benefits of standing on the foot pegs. The more advanced riders got to play in some craters and excavated pits. 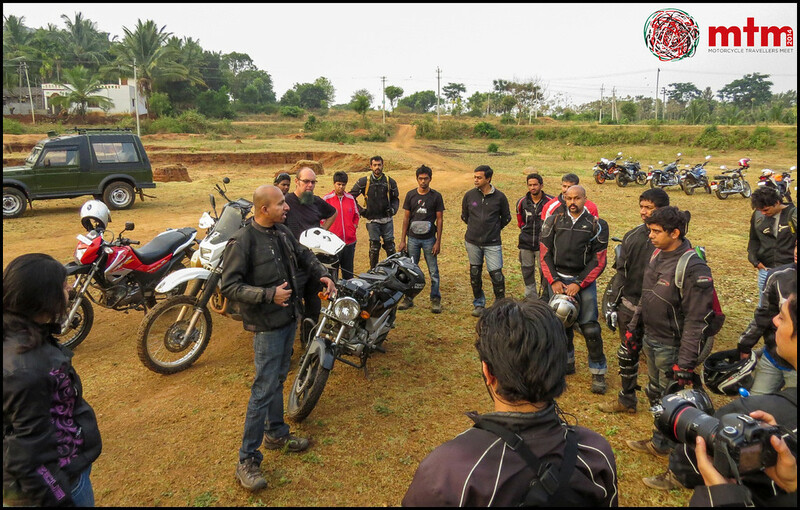 Off-road ride skills workshop at a dried lake bed. Johan let me ride his DR650 and he’s on my loaner Hero Impulse 150 and with us are Abijith on his Bullet with the GoPro and Aditya on his Karizma. Great riding with you guys! Riders meeting at the off-road ride skills workshop. 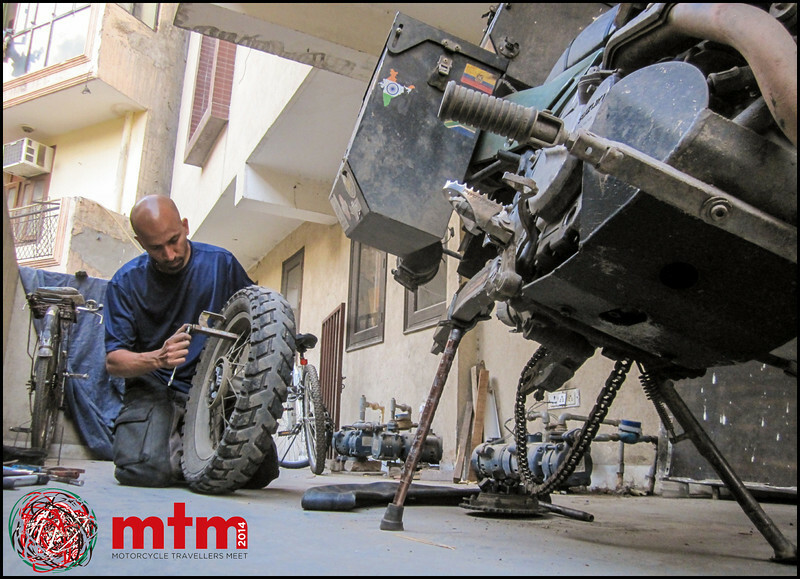 Getting ready for ‘Jay and the Art of Motorcycle Maintenance’ at the second annual Motorcycle Travellers Meet – India next weekend near Bangalore. sanDRina’s rear tire has been suffering a slow leak for the past few months and I finally swapped out the inner tube, getting back in the groove of using my tire tools. I’m using a bead breaker here on my Heidenau K60 Scout tire to get access to the tube inside. The old tube was a heavy duty one from Heidenau and I’ve been using that since Hamburg (March 2011), all through Africa and up till now. Not a single puncture through those 46,360 km (28,812 miles)! In went another Heidenau HD tube. 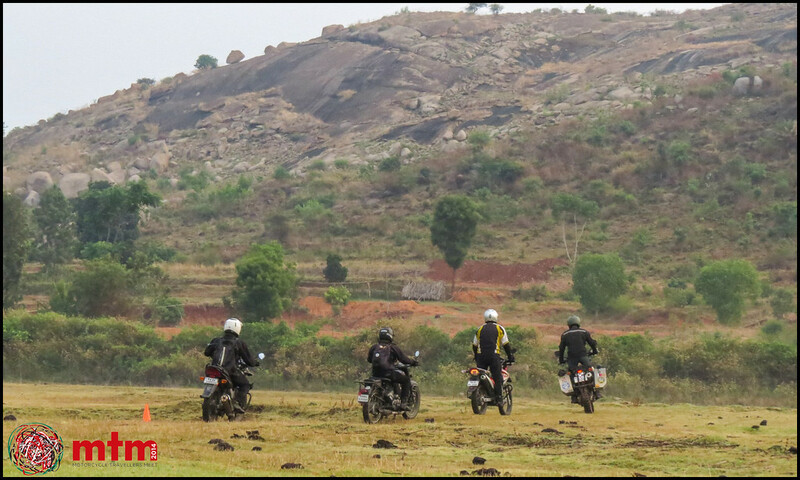 In 3 weeks, the second annual Motorcycle Travellers Meet – India will be taking place outside Bangalore. This is the place to be if you live and breathe motorcycle traveling in India and want to share your story, pick up tips from seasoned overlanders and get inspired from those on the road right now. sanDRina will be coming down to #MTMindia 2014 and I’ll be leading a workshop titled “Jay and the Art of Motorcycle Maintenance” 😉 There’ll be another DR650 overlander at the meet as Johan Senekal has timed his ride through India just perfectly. 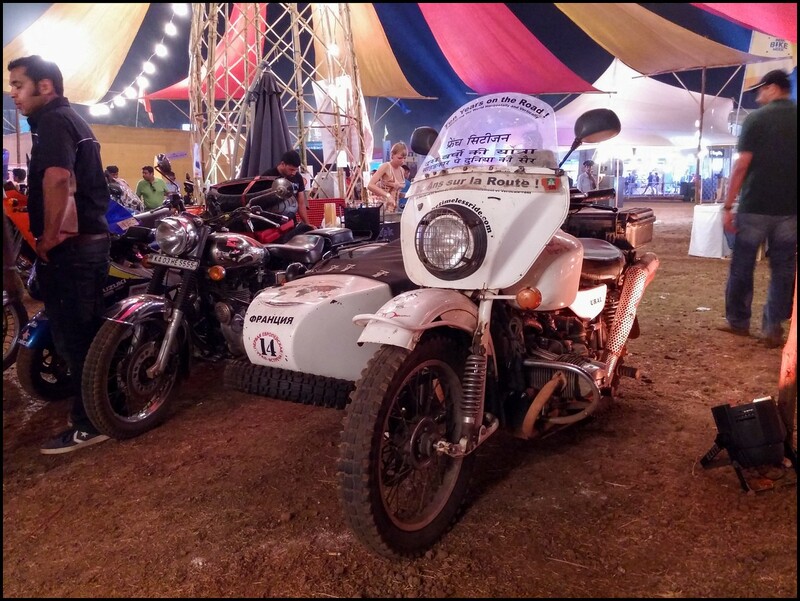 I had a fantastic time at the Motorcycle Travellers Meet – India! 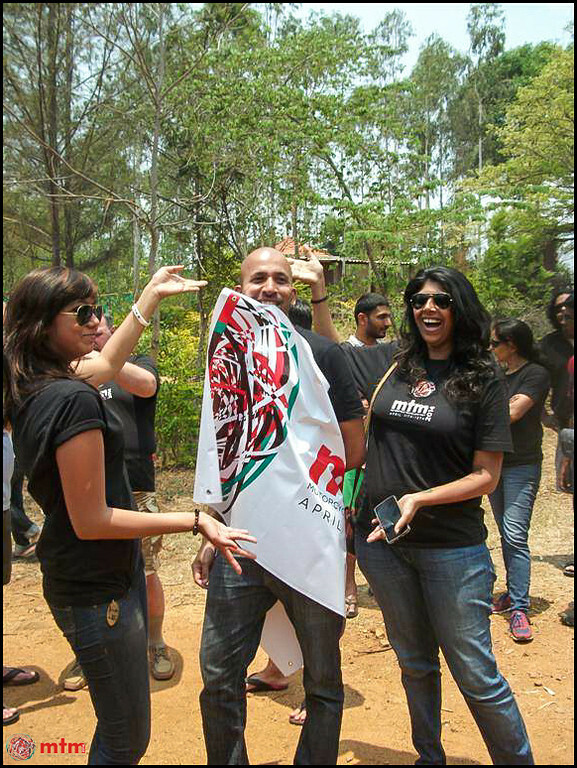 It was held over the weekend at a campsite outside Bangalore. 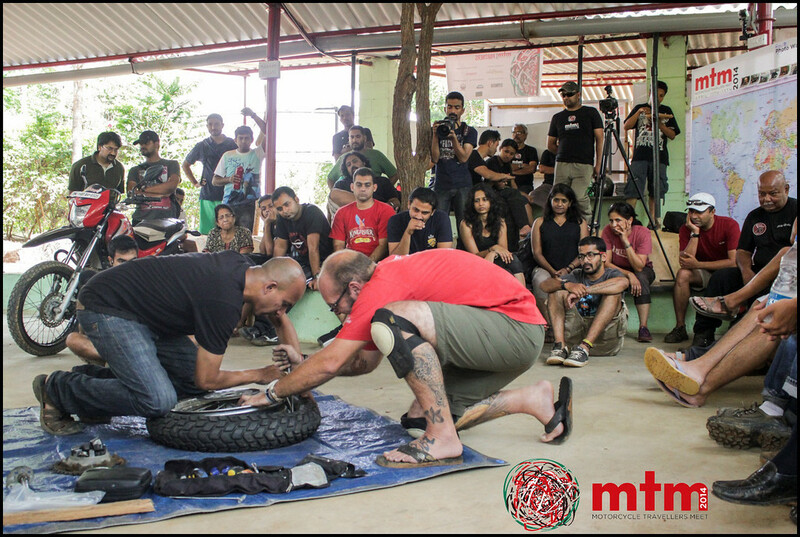 The MTM Team put on a great show and brought together like-minded travellers from around the country who choose to explore on two wheels. 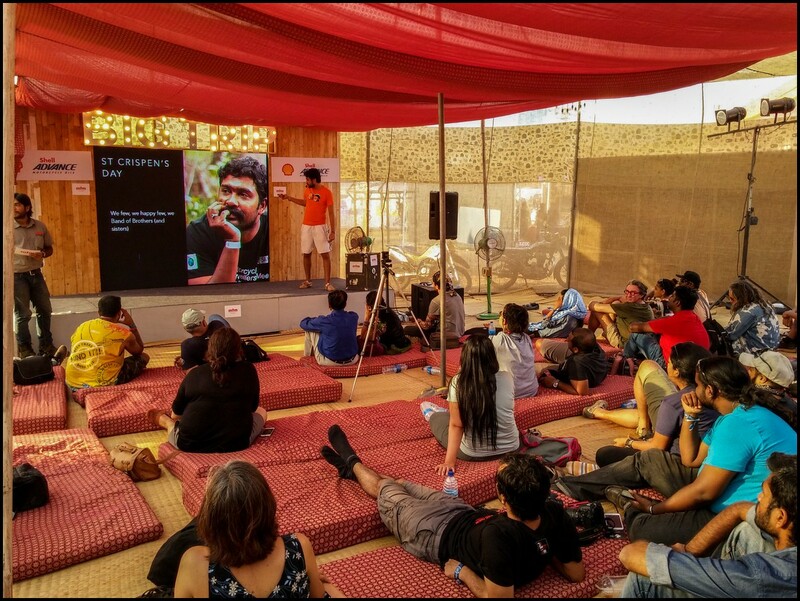 I enjoyed presenting about my trip and hearing the stories of other Indian moto travellers such as Bharadwaj Dayala and Avinash Thadani. Thanks to Santosh Kumar, Vijay Nambiar, Anuradha Rao, Nidhi Suresh and the rest of the MTM team. Plus big thanks to indiMotard adventures for providing me with a KTM Duke 200 to ride to the event. The success of this event has spurred us on to start thinking of next year’s event. 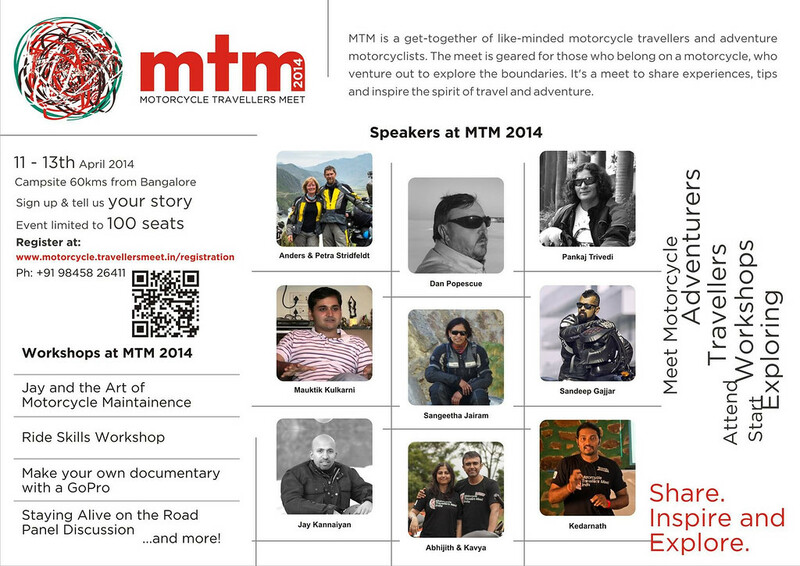 I’ve joined the organizing committee and want to help raise the international profile of motorcycle travel in India!